Arthur Big Boy Crudup, Buchanan & goodman and The Isley Brothers. 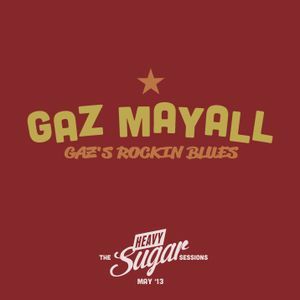 When we arrived at The Alibi in late May for our Heavy Sugar club night, they told us the phone had been ringing all day with people wanting to know if it was true that Gaz Mayall would be playing records there that night. Palpable is an apt term to describe the anticipation felt in the lead up to Gaz’s sets, and he sure didn’t disappoint. This recording is his first voyage onto the decks. Between the rare rockin’ blues and jumpin’ gospel 45s, he plays a record describing the landing on earth of a flying saucer from outer space. In all ways, this was a visitor we were thrilled to host. Listen closely for the full Gaz Mayall DJ experience. Gaz&apos;s record collection should be donated to the British Museum or something, seriously. if I ever go up London, it has to be on a thursday, seriously. Hey Monsier Moustache, really glad you enjoyed it. We&apos;re with you and would love to know the names of some or, preferably, all of these gems, but these are our guest&apos;s selections so, for now, we&apos;ll just have to embrace the mystery. But, could we get the playlist as there are many songs I&apos;d like to know what they are.